The only kit you need to maintain healthy color treated hair! 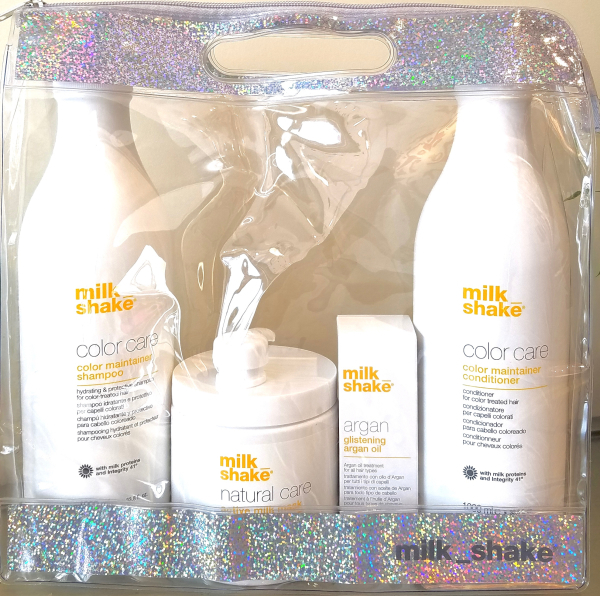 This kit features a Milk Shake color maintainer shampoo and conditioner to care for the beauty and vitality of colour treated hair. It is the perfect solution to prevent color fade while leaving the hair soft, smooth and easy to control and style.